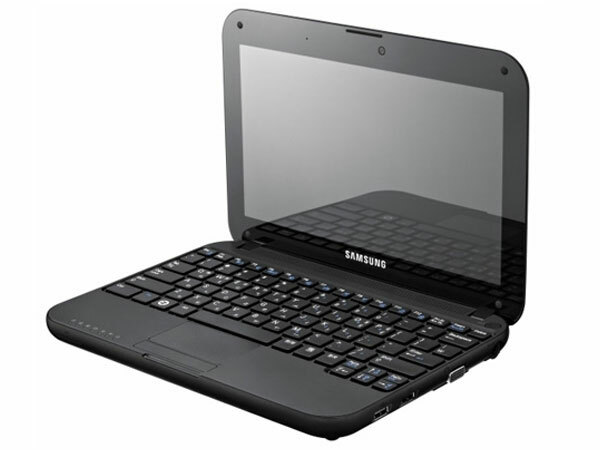 Samsung has added another netbook to its ‘Go’ netbook range with the launch of the Samsung Go N315. The Samsung Go N315 features Intel’s new Pinetrail platform, and it comes with an Intel N450 processor. Memory is in the form of 1GB of RAM and graphics is provided by Intel GMA 3150 graphics. There is also a 250GB hard drive, integrated 802.11 b/g/n WiFi, 10/100 LAN and a 1.3 megapixel web camera. The Samsung Go N315 shares the same design as the previous N310 whith a chiclet style keyboard and a 10.1 inch LCD display with a resolution of 1024 x 600. It will come with a 4 cell battery which is good for up to four and a half hours and Windows 7 Starter Edition, and it will be available for $429.